This Victorian 6 " x 6 "tile is transfer printed in blue against an off white background showing good detail and good contrast and nice transfer. 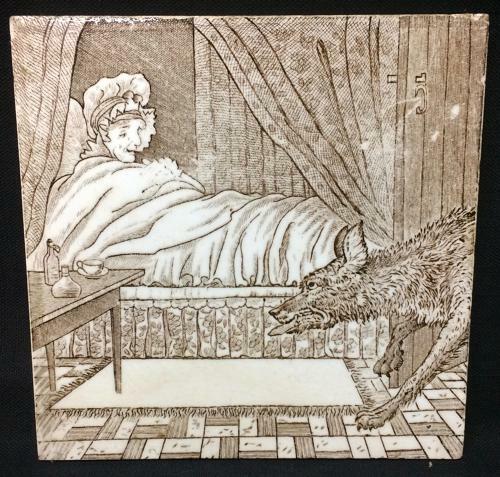 Grandmother in bed as the sly Wolf arrives. Great Condition. Very rare pattern.